At RD Plumbing we offer low cost heating upgrades, including the latest gas and oil boilers for all types of homes and commercial properties. We are also a registered SEAI contractor, which entitles you to a number of grants available. We provide clients with heating system upgrades in Kilkenny and nationwide. Such grants include upgrading your boiler and heating controls. There are a number of reasons to upgrade your boiler, such as modern boilers are 20% more efficient than those over 15 years old. It could mean up to 25% savings on fuel costs for your boiler, also the safety and reliability of the boiler is improved and as a result, you don’t experience unexpected high costs every time your boiler breaks down. If your boiler is over 15 years old, don’t wait for it give out as it can result in a rushed job and cost you more compared to planning the replacement and having more time to research on this. We recommend replacing boilers we recommend opting for a condensing boiler as they are the most efficient of its kind and burn up less fuel and are generally cheaper to run. Adding heating controls such as Thermostatic Radiator Valve, allows you to control the temperature in each room, so you can have the temperature in your bedrooms cooler than in the sitting room, this type of an upgrade entitles you to a grant of €700, upgrading the heating controls only, entitles you to €600. For more information on how to apply for the home heating grant call us on our Freephone number today. Provide even heat because your floor becomes the heater effectively warming up your space from the ground up. Use water heated to a lower temperature than conventional water central heating which makes them ideal for high efficiency condensing boilers, heat pumps and solar water heaters. Provide zoned heating allowing for independent zone controls and more energy savings. Have less dust traps encouraging a cleaner and healthier indoor environment. Allow flexibility in interior design because you don’t have to deal with unsightly vents or restrictions on placing furniture and decorative floor pieces. 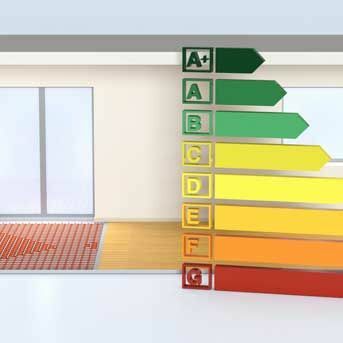 Is Under Floor Heating The right Solution For Your property? For a free consolation and quote contact us on our Freephone number today. According to Building Regulations 2011 Document L, a building shall be designed and constructed so as to ensure that the energy performance of the building is such as to limit the amount of energy required for the operation of the building and the amount of carbon dioxide (CO2) emissions associated with this energy use insofar as is reasonably practicable, this applies to current houses and new builds. Get in contact with RD Plumbing today for more information on our under floor heating installation service.